Vocal ability. A good singer is a singer with a technically good vocal. The greatest singers must be the singers with above average vocal ability. Star quality. You cannot be a greatest singer if you are not a star by yourself. You must have the ability that will make people worship you. Legacy. It's about influence, baby. You are measured by the influence you give to other singers. Fame. Even if you have the greatest vocal of all, it would be useless if nobody knows you. In this age of musical genre ghetto-ization, Prince stands alone. The Artist can get funky, he can rock up a storm, he can croon a soulful ballad, he can spin out webs of jazz piano, he can hip and he can hop. And he can do it all, often brilliantly. Prince takes chances and often fails -- especially on the (hopefully abandoned) film front -- but every one of his albums is chock full of gems. Prince hasn't sustained the massive popularity he earned in the Purple Rain-crazed '80s, but that seems due more to bad publicity surrounding his tabloid lifestyle than his musical output. He can't hide the fact that he is an odd, fuzzy little man, but genius doesn't come in perfect packages. While legions of Prince's contemporaries crash and burn, he sits in his Minneapolis tower and continues to expand the boundaries of popular music. Heaven and earth battle it out in the music of Ray Charles, who combined gospel with the best of secular music and helped give birth to soul, rock, and hard bop. His early work showed the silky influences of the Nat "King" Cole trio and the piano blues great Charles Brown. Charles combined their sophisticated styles with R&B and gritty gospel to create his signature sound: hard, snappy piano combined with exquisite vocals that fall somewhere between a preacher gone bad and a yearning romantic balladeer. Charles absorbed styles like a sponge: big band jazz, country and pop were all added to his musical arsenal, and he built up a musical empire that kept him in the public eye for decades up until his untimely death, at the age of 73, in June 2004. Just prior to his passing, Charles cut his first duets record with such fans as Norah Jones, Willie Nelson, and Elton John, which illustrates a multi-generational sampling of the artists who list him as a prime influence. An American institution, Ray Charles' rendition of "Georgia on My Mind" has even become that state's anthem. If only the other 49 states could be as fortunate. Most Memorable Recording: "Dear Mama"
One of the most idolized and imitated figures in the rap game, the legacy of Tupac Shakur is truly monumental. The Oakland emcee got his start as a dancer with Digital Underground before making his mark as a top-notch actor and hugely successful solo artist. He released his first album 2Pacalypse Now in 1991, followed by starring roles in the films Juice and Poetic Justice. His second album contained the player anthem "I Get Around" and the ode to struggling sisters "Keep Your Head Up." In addition to his rising celebrity status, Tupac also saw numerous run-ins with both sides of the law. In 1994 he released Thug Life, was shot several times in NYC, and was convicted of sexual assault. Me Against The World (1995) debuted at No. 1, while Pac was sitting in jail. Bailed out by Suge Knight, his Death Row premiere All Eyez On Me -- the first hip-hop double album -- featured the hit "California Love" and easily went multiplatinum. 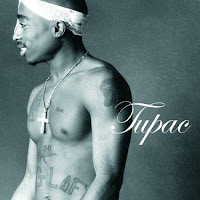 On September 7, 1996, Tupac was shot repeatedly in Las Vegas and died six days later. Numerous theories continue to surround his murder; some blame Bad Boy, others think Suge set him up, while legions of believers think he is still alive. 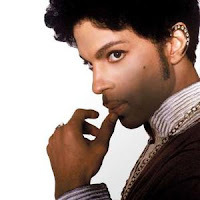 Many new albums and compilations have continued his career posthumously, with "Changes" getting massive airplay in 1999. Tupac's murder remains unsolved.